Nat Geo in the US has ordered a second season of its scripted series Genius and has commissioned shows from Jay Z and Katie Couric as part of its Upfronts. The new run of Genius, directed by Ron Howard, will again focus on the life of one of the world’s most brilliant innovators. 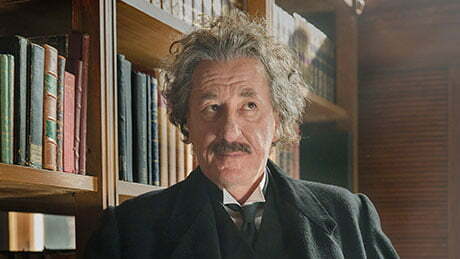 Its subject will be revealed in June when the first season, which centres on Albert Einstein, completes its run. Homeland producer Fox 21 Television Studios, Imagine Television, Oddlot Entertainment and EUE/Sokolow are again behind the show. Meanwhile, Couric is exec producing an untitled six-part docuseries that follows the presenter as she explores contentious and confusing topics dominating global headlines. The untitled series will premiere in 2018. Race, from rapper Jay Z (real name Shawn Carter) and The Weinstein Company, will use documentary, animation and archive footage to tell stories from under-represented quarters of the US. Finally, Nat Geo has started development on three scripted projects: pregnancy drama The Birth of the Pill; Ebola-focused The Hot Zone; and an as-yet-untitled show from Marti Noxon (UnREAL). It forms part of a scripted strategy that has also seen the channel break ratings records with feature-length one-offs such as Killing Kennedy, Killing Lincoln and Killing Jesus. Nat Geo has also aired miniseries such as Saints & Strangers, but Genius is the first fully scripted series commissioned for the network.